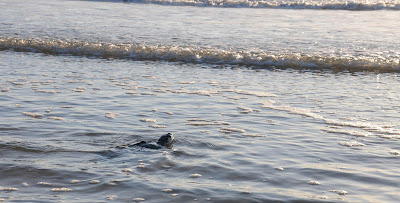 See Part 1 of this turtle trek, preparations for an epic road trip! 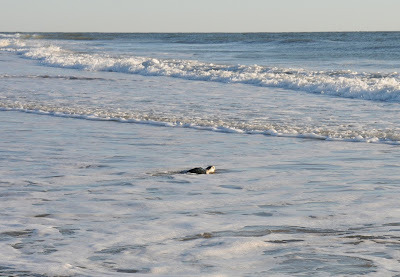 While Bostonians were shrugging snow off their shoulders on Monday, the turtle rescue team was curling their toes in Florida sands as their flippered patients shambled toward the ocean. Today marked a milestone in the second largest turtle rescue season on record at the New England Aquarium. 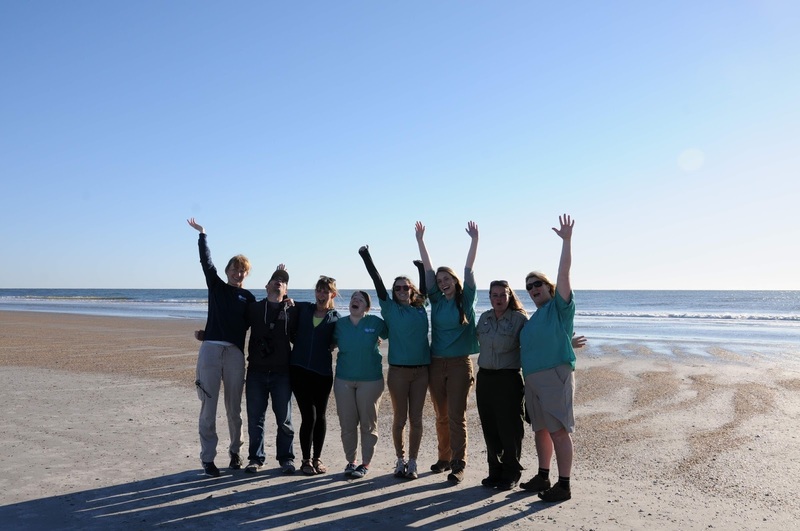 With the exception of a few of the sickest patients, the last of our patients from 2015 have returned to the ocean! 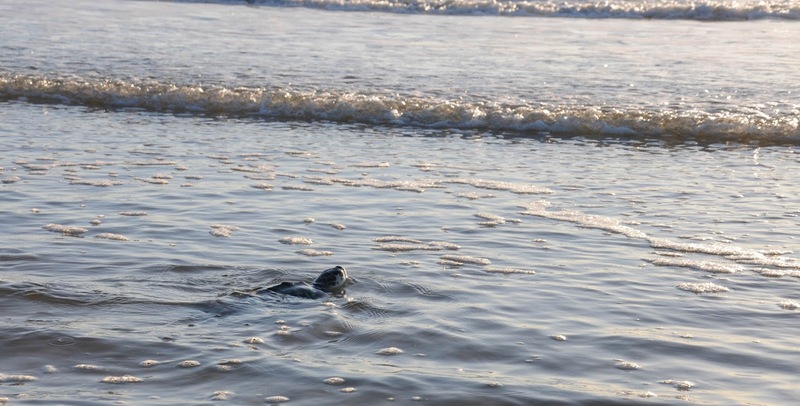 Here are a few scenes from this morning's rescue in Florida. A park ranger and Aquarium rescuer release a turtle together. 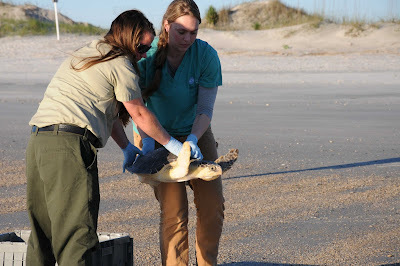 After the road trip, Julika prepares to release a turtle. 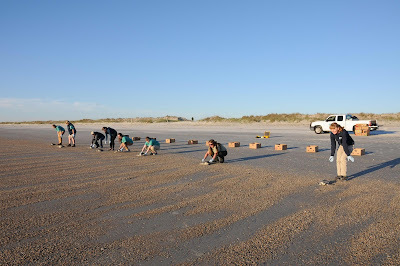 On Saturday, members of the Aquarium's Marine Animal Rescue Team awoke early and prepared more than a dozen turtles for an epic road trip down the East Coast from Quincy, MA, to warmer waters down south. 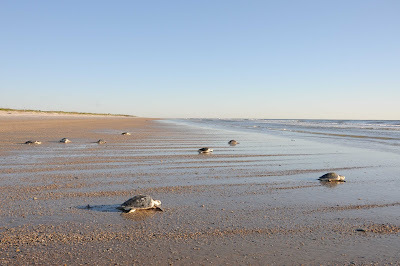 These sea turtles were among the very last patients from our second busiest turtle rescue season. And they were on their way home. Here are a couple scenes from that early morning send-off. Volunteers scoop turtles from their rehab pens for their last exams. 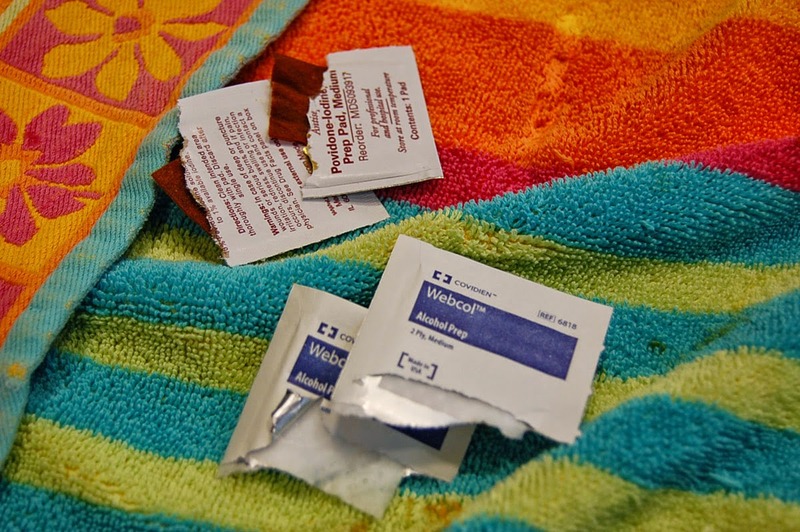 of ointment to keep their skin moist while out of the water. 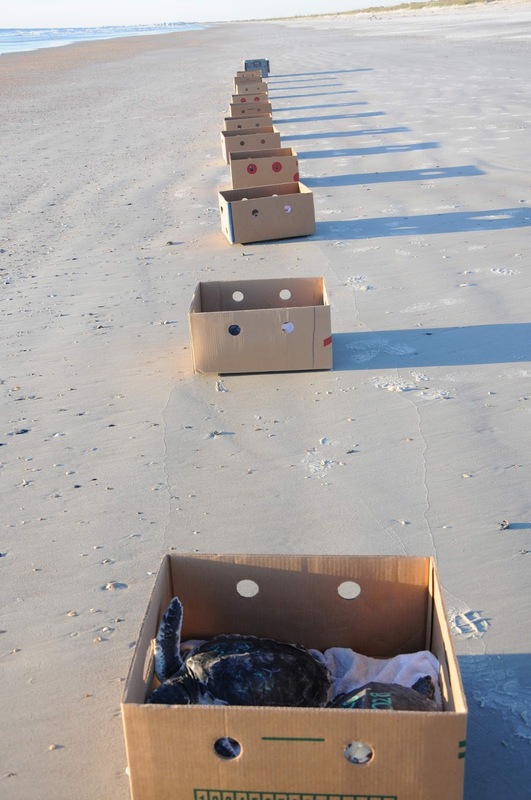 Then the turtles are nestled into banana boxes for the journey. Each banana box has a comfy, clean towel lining the bottom. 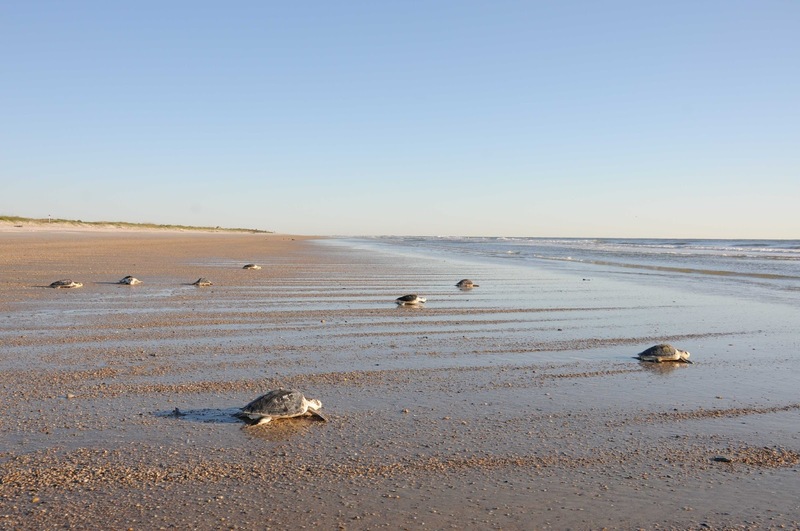 Turtles lined up and ready to go. 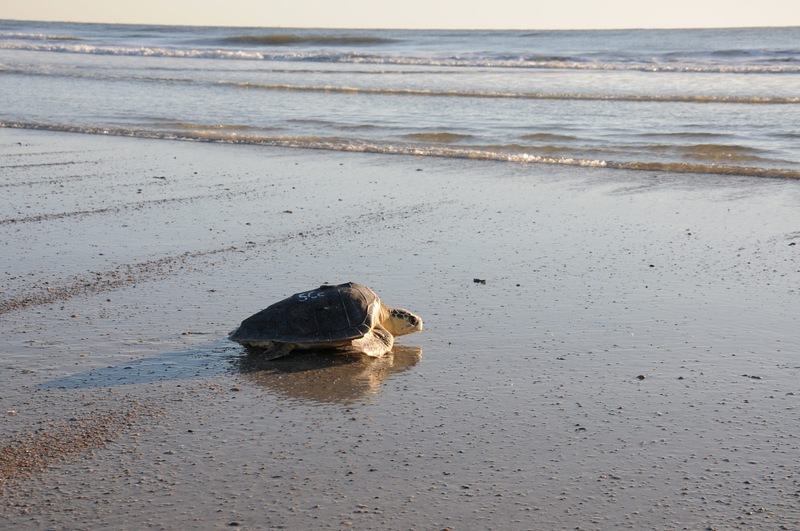 See Part 2 of this turtle trek — the grand finale, the release! 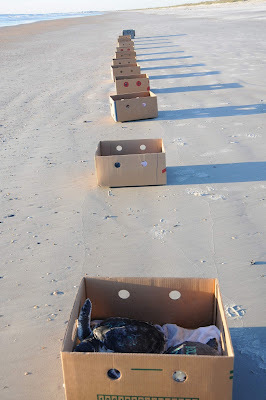 Nine more turtles are on their way to the Animal Care Center today—including eight of the larger loggerheads. 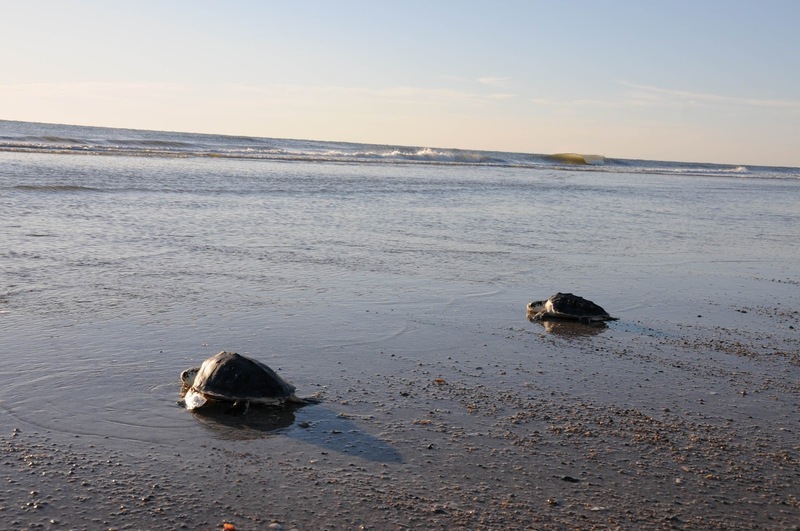 The season continues to break records with latest live admissions of Kemp's ridley and loggerhead turtles. 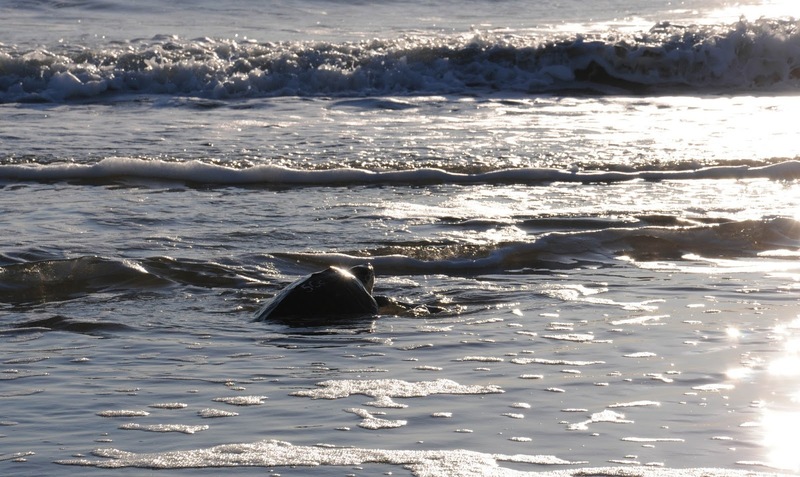 Not only is the timing of this season unusual, this is our second-largest stranding season ever. 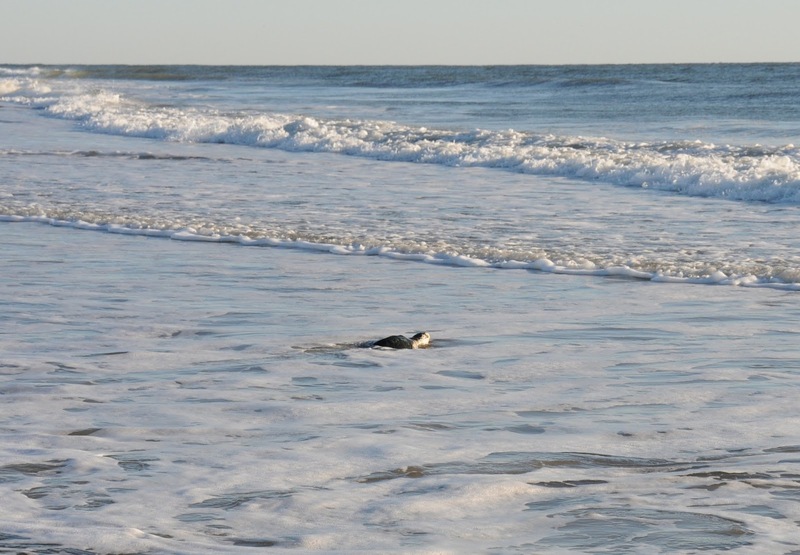 In a normal sea turtle stranding season, the last surviving animal washes up during the week before Christmas. Over 25 years, no more than a handful have arrived after New Year’s. But as an article in today's Boston Globe reports, turtles are still stranding on the Cape. 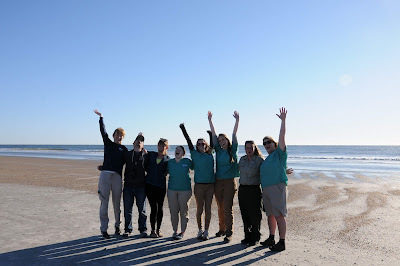 Since last Friday, our sea turtle hospital in Quincy has admitted 13 loggerheads and four Kemp’s – probably two to three times more than all previous post-New Year’s turtles combined. 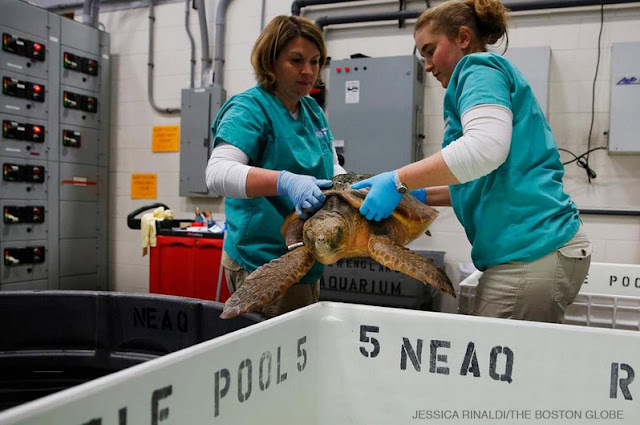 The loggerhead arrivals are the beginning of the end of the stranding season, but they pose major logistics challenges as each animal takes up so much tank space. The very late season is the product of the abnormally high water temperatures in Cape Cod Bay that were 6-7 degrees above normal for most of the month of December. Read the full article in The Boston Globe. 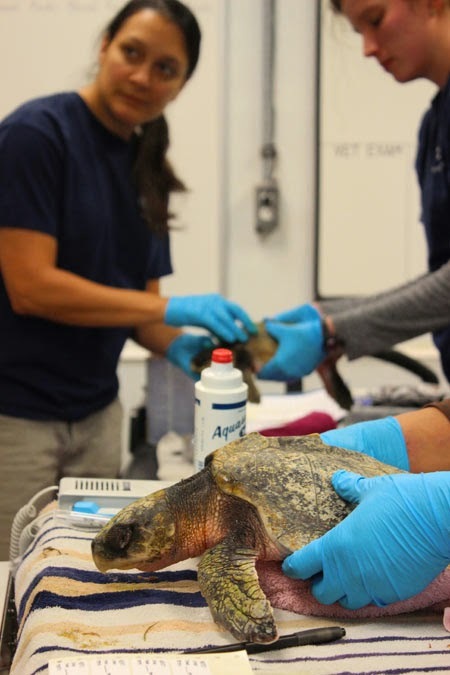 To date, nearly 300 sea turtles that have washed up on the beaches of Cape Cod Bay have been admitted to the Aquarium’s sea turtle hospital since early November, making it our second-largest stranding season ever. On top of planning transports, doing laundry and arranging for volunteers, stranding season is a blur of sea turtle exams. For such an important part of every day, turtle exams can happen in a humble little work space. We have a clinic room with permanent exam carts. 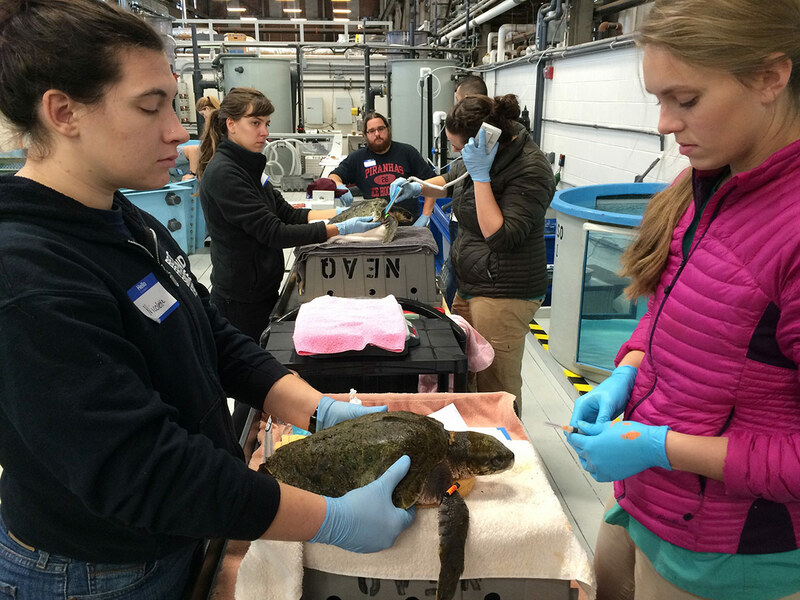 Two carts in the clinic are set up for turtle exams. 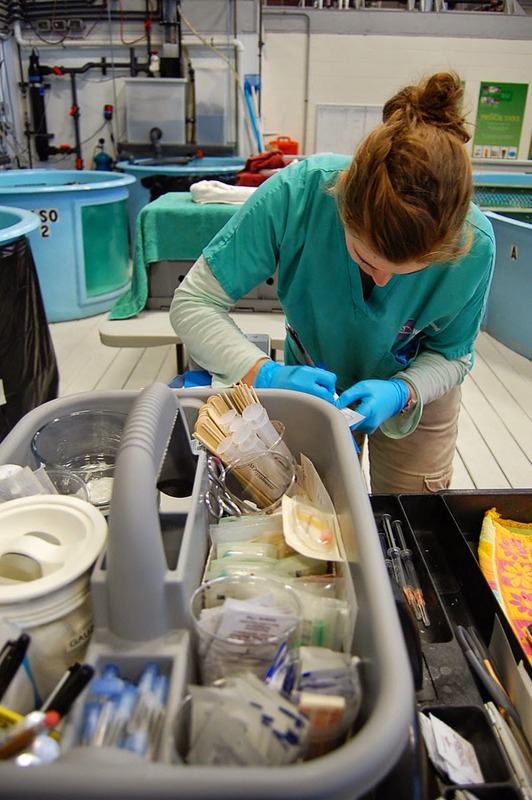 But when things get busy, we set up additional carts throughout the turtle hospital. 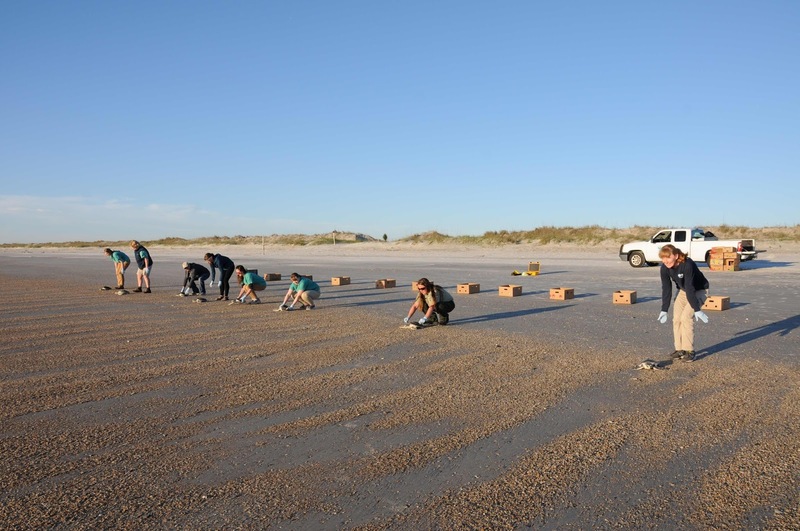 But each station is equipped with an array of tools necessary for treating the turtles. 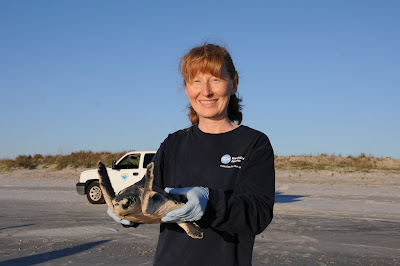 Let's a moment to walk through the tools of the trade for all these sea turtle exams. 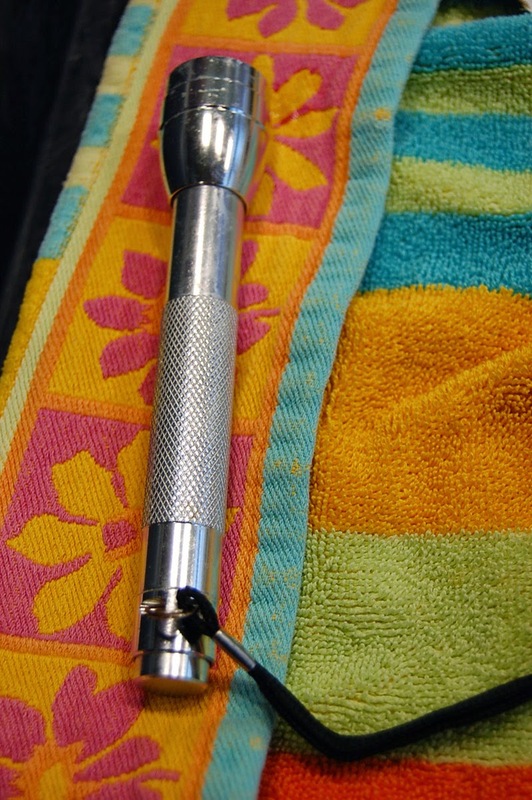 OK, so what are all these items on the towel and what are they used for? 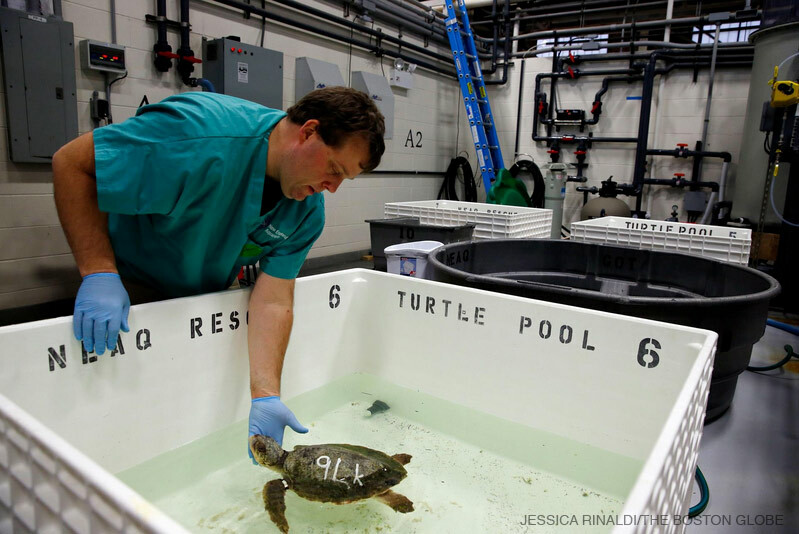 Flashlight: This helps the biologists examine a turtle's eyes and throats for scratches or foreign bodies. 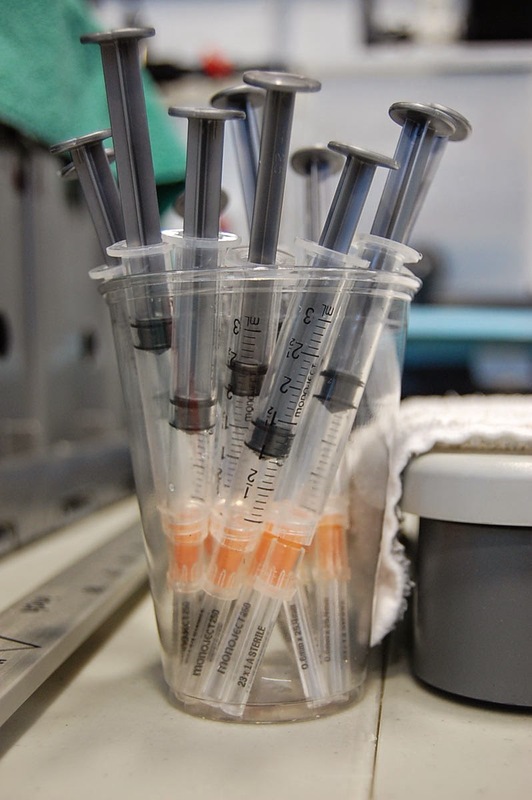 is cleaned with alcohol and iodine—just like what you'd use on people! The marker: These are used to mark the turtle's shells with a number ID, this is important when looking for dozens of turtles swimming in a rehab tank. 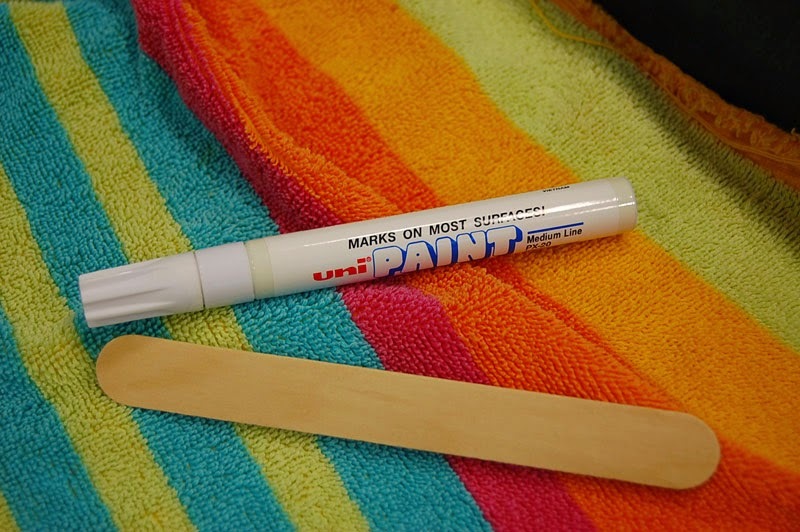 The tongue depressor: These simple tools can help spread ointments over the turtle's shell or skin or gently scrape a little algae off the shell. The towel donut! 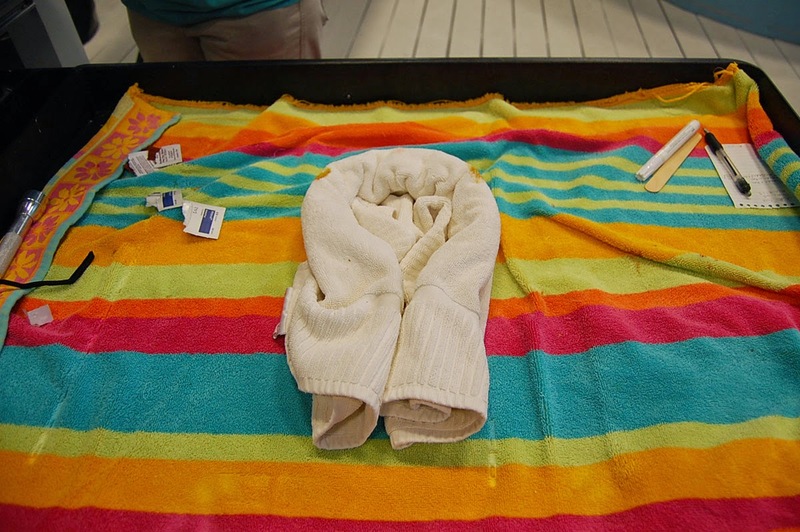 These are a staple at every sea turtle rescue station. 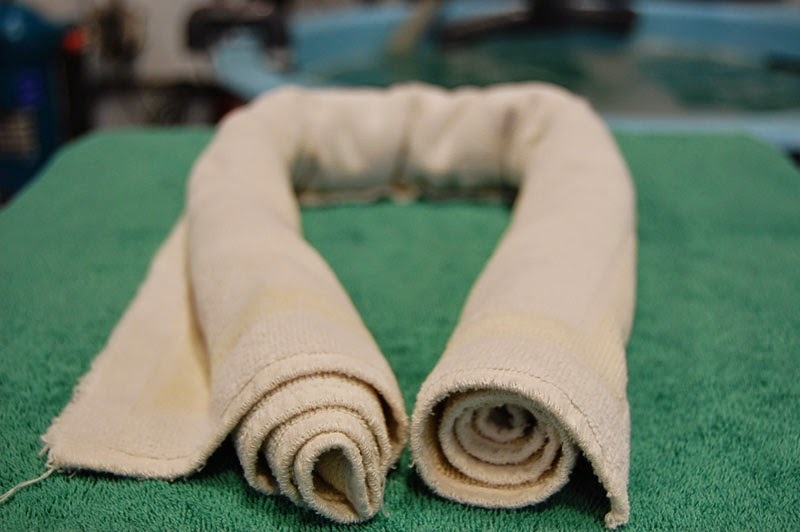 A rolled up towel like this is a comfortable place for turtles to rest during their exam. It's soft, their flipper can hang over the sides and assistants can gently yet firmly grip the sides the turtle's shell so they don't flap themselves right off the table. stash them at each exam station. energy level and lots more. There are also some techy tools that are used during exams, more on those later. 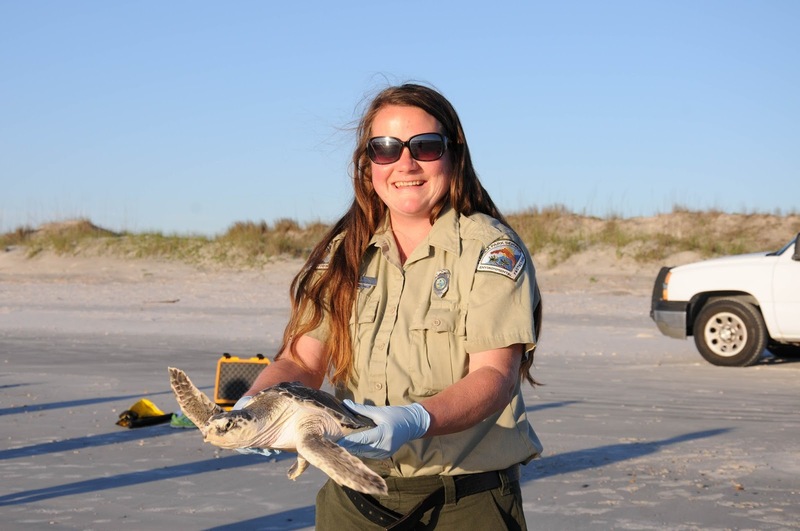 While the tools of the trade aren't the most exciting part of saving sea turtles, they're crucial. And so are all those hard-working individuals rehabilitating so many turtles!